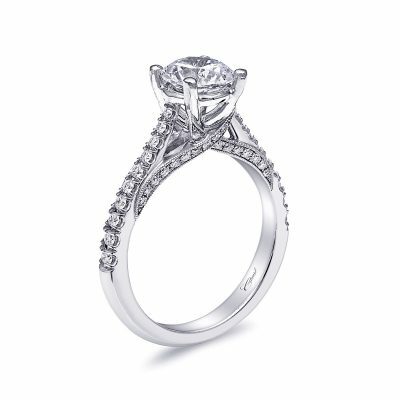 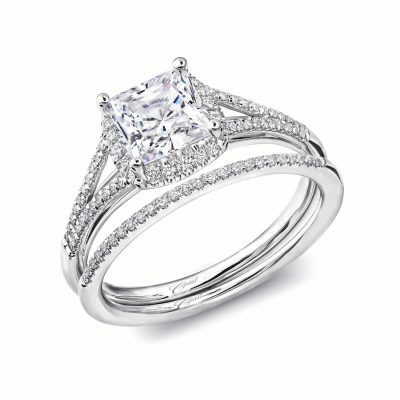 This unique solitaire engagement ring features two rings of diamonds which wrap around the gallery. 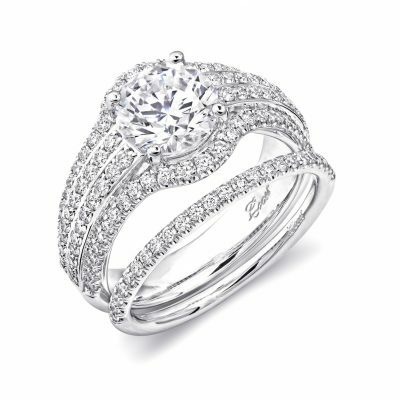 Diamonds also decorate the shoulders of the ring. 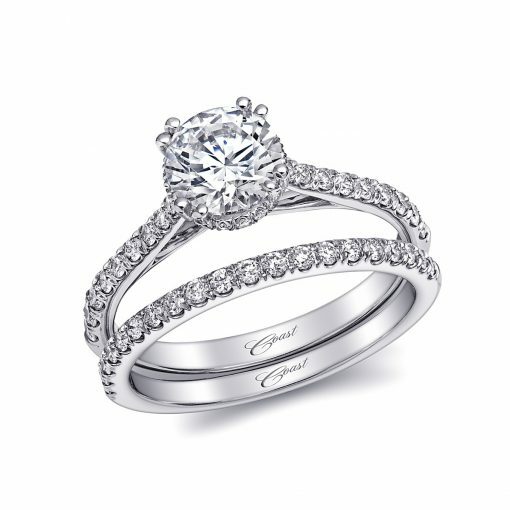 Built for a 1CT center stone.